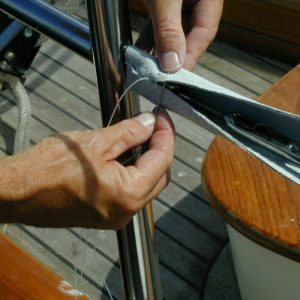 Our turnbuckle covers prevent chafing on sails and sheet lines, ensure durability and give every boat a distinguished look. 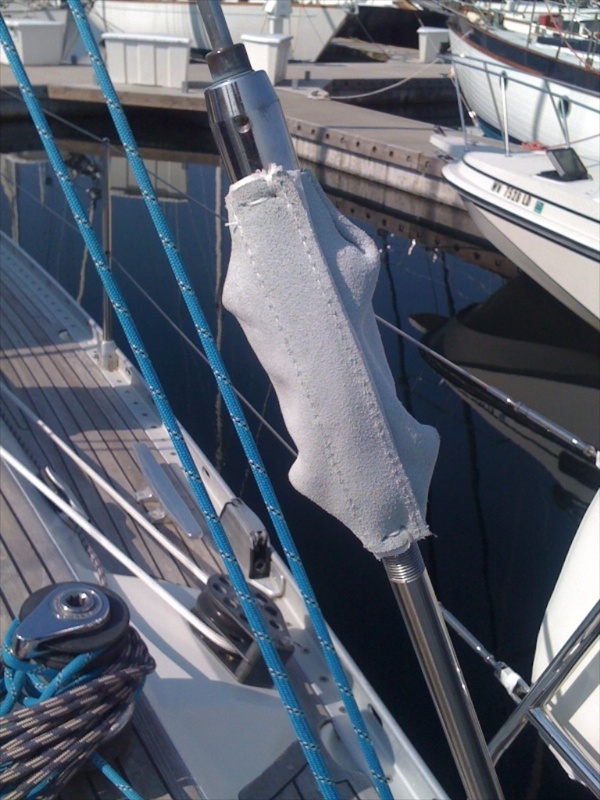 Velcro fastened covers are easy to remove and install when the rigging is pulled or inspected. Hand stitched covers are designed with a tapered end, so they can slide up the stay for inspection. 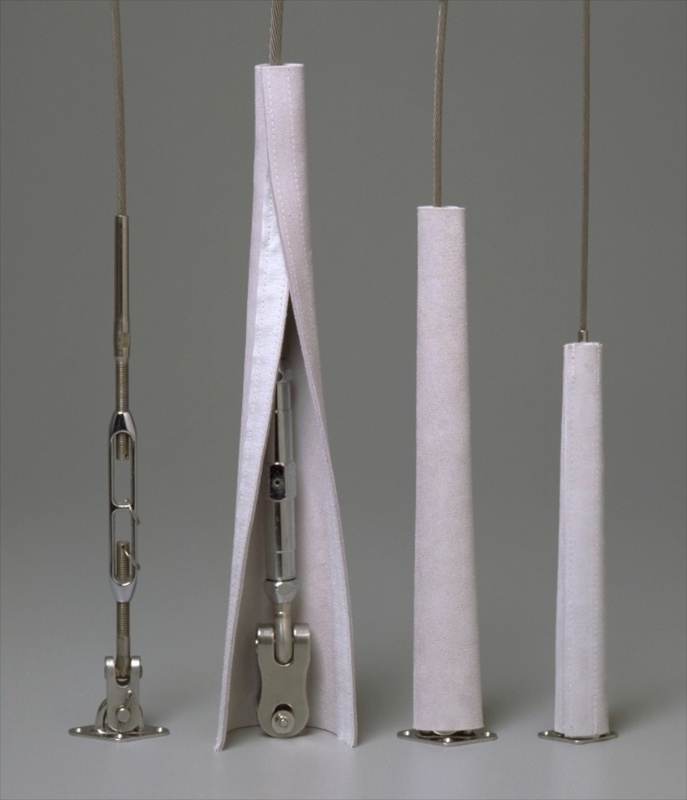 Use turnbuckle covers on life-line turnbuckles or back stay adjusters, too. For a larger image click here… For a helpful guide click here… For a custom order, please call. Size, Color, Style, and Standard or Custom kits.